Father’s Day is this weekend, so I’m thinking about my dad, again. After all these years, and despite my own dear children, I still defer to my late father. And now suddenly, thanks to Orlando and Donald Trump, it really does feel like the late 1920s and 1930s again in America. The politics of fear, played out by today’s Islamophobia, is very similar to what I call the “Filipinophobia” that took place when my father arrived in California from the Philippines. Filipinos weren’t on a Jihad. Through Spanish colonialism, they were Catholic. But because of American colonialism, they were Nationals. American Nationals. Not citizens. Not slaves. Just not good enough. They were in a strange limbo, exploitable as labor but unwanted. And yet worthy of travel without green cards. They sought their fortune, though they would settle for opportunity. Instead, they took menial jobs no one wanted and consorted with the native women, who happened to be white. It caused a virulent nativist reaction to their presence that resulted in violence, deaths, and a successful call for extreme limits on Filipino immigration. 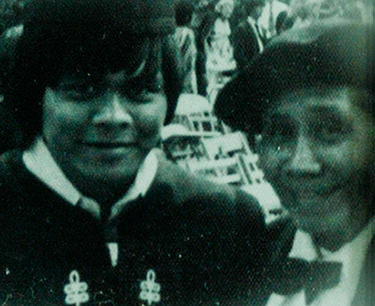 I tell the story about what my father encountered in a performance piece I’ve been preparing for a workshop next Friday, June 24, at the Filipino American National History Association’s conference in New York. I will feature an excerpt of my “Amok” monologue, where I talk about my father’s journey, how it impacted my own life, and how it’s all connected to the recent violent shooting death of my cousin Stephen. The entire conference is interesting. Filipino American history isn’t just a subset of Asian American history, but it’s all a part of that hidden American history that few seem to know about. 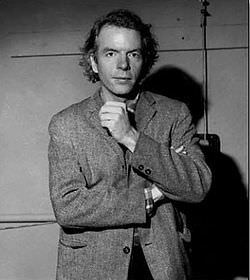 Initially, I discovered the style while I was an arts reporter and critic for the NBC affiliate in San Francisco and interviewed the monologist, Spalding Gray. Gray was always a truthful and engaging storyteller, with occasional laughs. Just don’t call him a standup comic. “Sit-down comic” if anything, he told me. Gray called himself a “poetic journalist” and made his name telling the real stories of his life. And then he jumped off the Staten Island Ferry and died. I’m not going to jump off the Staten Island Ferry, but the story I tell is an emotional one, more interested in the blood that runs through history, rather than the footnotes. We live in a storytelling culture, though sometimes we’d all rather be private than public. As a consequence, more often than not, stories aren’t told. We stay quiet. I’m not. I’m always surprised when I mention nuggets of Filipino American history like the Tydings-McDuffie Act, which changed the status of Filipinos from American nationals to just plain Filipino-and subject to deportation. Essentially, it was the Filipino Exclusion Act, the final act of American Filipinophobia. My father survived it. But just barely. The coincidence of so much death and hate of late is almost too much to bear. This I know: the pain never fades. I still have enough problems with the violent gun death of my 27-year-old cousin in 2014, and then, there was the anniversary of my father’s passing this week in 1978. All that, and now Orlando’s 50 dead (we shouldn’t really forget the shooter, no matter how despicable he may have acted). When even my distractions (the NBA Finals) disappoint, it seems like there’s nowhere to turn. In the case of the Pulse massacre, the deaths are so fresh with each news report, it’s as if the blood never dries. It all just keeps flowing, as we search for a way to apply some relief. One thing is clear. Our so-called political leaders are hardly able to come up with any real answers, certainly not in their opening responses. Curbing guns should be the easy one. But it’s not. I reported on my first AR-15 semi-automatic mass shooting in Texas in June of 1980. It was in a church. Five killed, ten injured, a big one for its time. Thirty-six years later, and a near 15-hour filibuster hardly seems that impressive, when I doubt it will result in meaningful legislation. So maybe we can come together to take on homophobia and Islamophobia? Republican presumptive presidential nominee Donald Trump keeps fanning the flames of Islamophobia, invoking the politics of fear that Asian Americans know all too well. From the Chinese Exclusion Act to Japanese American internment, fear has always been a failed American response. It has never worked short-term or long-term. This week, we saw Trump baiting President Obama with the “Islamic Radicalism” argument. The best we could hope for was the president angrily exposing Trump, which he did. I’m just surprised that even smart people can sometimes be fooled by the GOP leader’s tough guy rhetoric, which is simply a veiled effort to legitimize xenophobia. So what is the best answer? Invite your Muslim friends over for shwarma and beer? High in calories, but it couldn’t hurt. Last year, I interviewed Parvez Sharma, the director of a much heralded documentary, “A Sinner in Mecca.” It depicts Sharma, a gay Muslim American who lives in New York, making his spiritual journey to Mecca, despite Islam’s stance against homosexuality. In particular, the film exposed Saudi Arabia’s rigid Wahhabi ideology. I called Sharma this week to ask him about Orlando. He said he was horrified by the news, but put off by the platitudes of liberals and Muslim pundits, whom he called apologists for Islam. He seems to be saying that the religion may have violence. But people don’t have to resort to violence. They can choose peace and work toward that. Sharma says he isn’t looking for a theological way out of explaining or “apologizing” for Islam. He is, however, keying in on individuals. And being on ale rt. But it becomes a problem when non-Muslims use the religion to justify stereotyping people in the name of fear. It also pays to remember the history of our fathers before we give in to the generalized fear of Trump’s “seen-one-seen-them-all-till-further-notice” approach. Asian Americans know what it’s like to be on the wrong end of that equation, when nativists use fear in their desire to make America white again. To stand united against that is what makes America great again.